Romitaman Original Comic Book Art :: Private Collection :: Black Widow Early Pinup (Large) SOLD SOLD SOLD! by artist John Romita Sr. Check out this very nice Pinup, which was drawn entirely by the great JOHN ROMITA SR! This Pinup features a nice large image of Black Widow that John Romita drew most likely at an art seminar that Marvel Artists would draw at in the late 1960s and early 1970s! 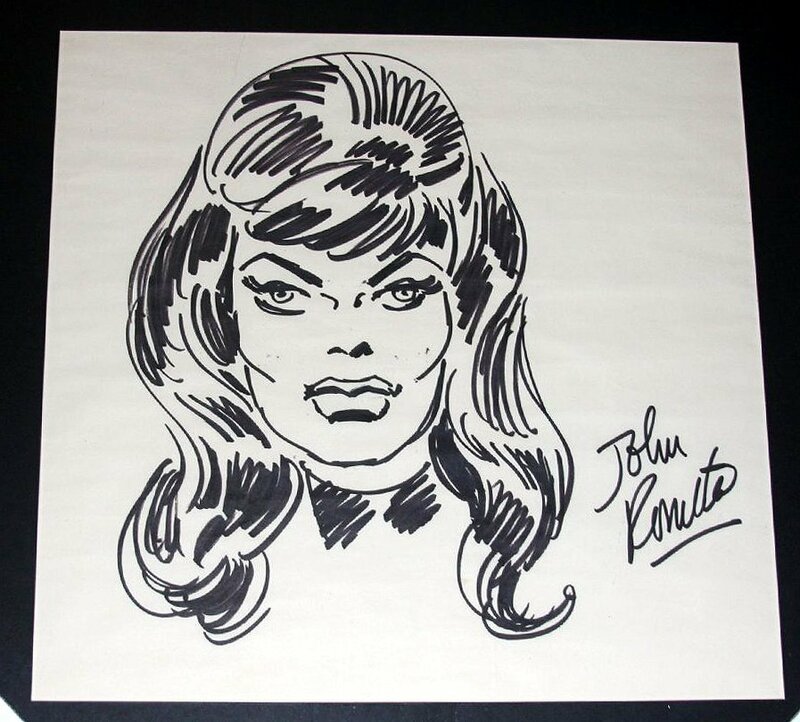 Art is drawn in marker on 15.5 by 16.6 inch drawing paper, and is signed at the bottom in John Romita's old "SCRIPT" signature, which is evident that this is an earlier drawing by him! There is a tape repaired tear on the back top of this paper which does not reach any drawn art thankfully. Just a neat piece! ALL art on our website (including this one) are able to be purchased with VERY fair time payments, and trades are always considered towards "ANY" art on our website! Just send us an email to mikeburkey@aol.com and we can try to work something out.